Perhaps you’ve heard of a little old band called Gorillaz. But how well do you really know them? Behind the supergroup’s endless stream of chart-topping hits—like “Clint Eastwood”, “D.A.R.E.” and “Feel Good Inc.”—lies a twisted backstory involving kidnap, supernatural encounters and adventures around the world. The story starts in 1998, when the group’s mastermind and musical evil genius Murdoc Niccals smashed his infamous Vauxhall Astra into an unassuming employee at an organ shop, Stuart Pot—now known as the band’s frontman and keyboard player 2D. Murdoc was responsible for kidnapping and holding hostage both 2D and Gorillaz’s drummer, a Brooklyn native named Russel who’s possessed by the ghosts of hip-hop legends. The youngest member of the band, Noodle, literally arrived at the doorstep of the band’s Kong recording studios, and over the past two decades she’s served as the guitarist, badass feminist and the glue that holds it all together. To find out more about the individual members of the band and their crazy origin stories, check out the bios each one wrote exclusively for Electronic Beats: Noodle’s is here, 2D’s is here, Russel’s is here and Murdoc’s is right here. 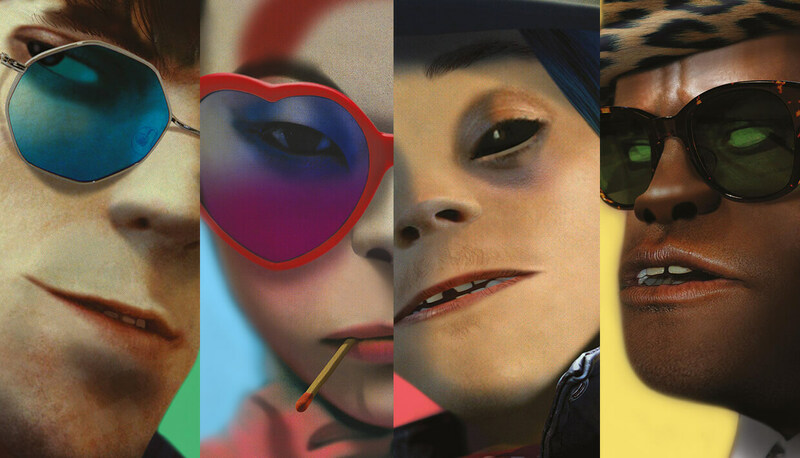 You can also hear four tracks from their forthcoming album, Humanz, here.